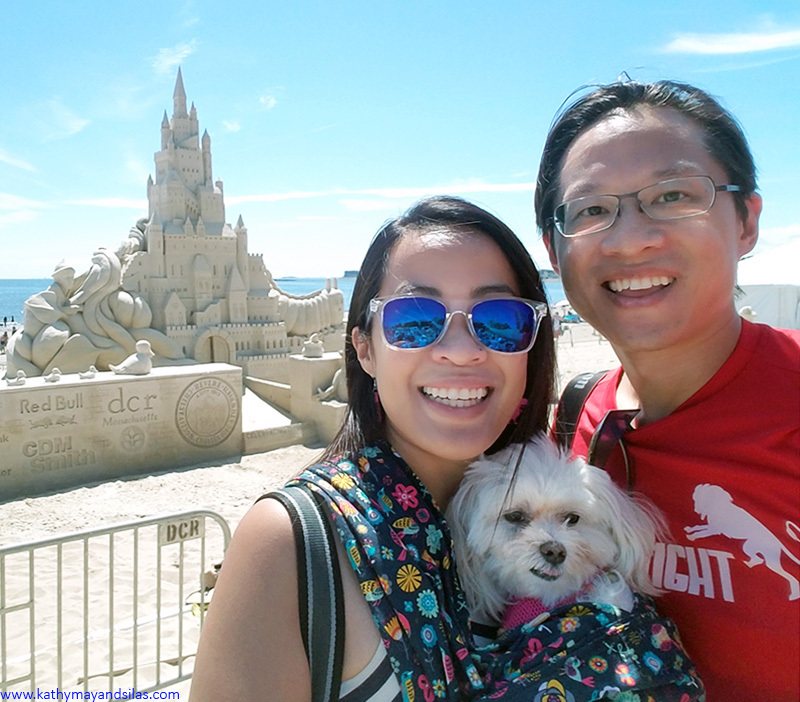 This summer we were among the over 1,000,000 spectators who ventured to America’s first public beach to experience one of the largest sand-sculpting competitions in the country! 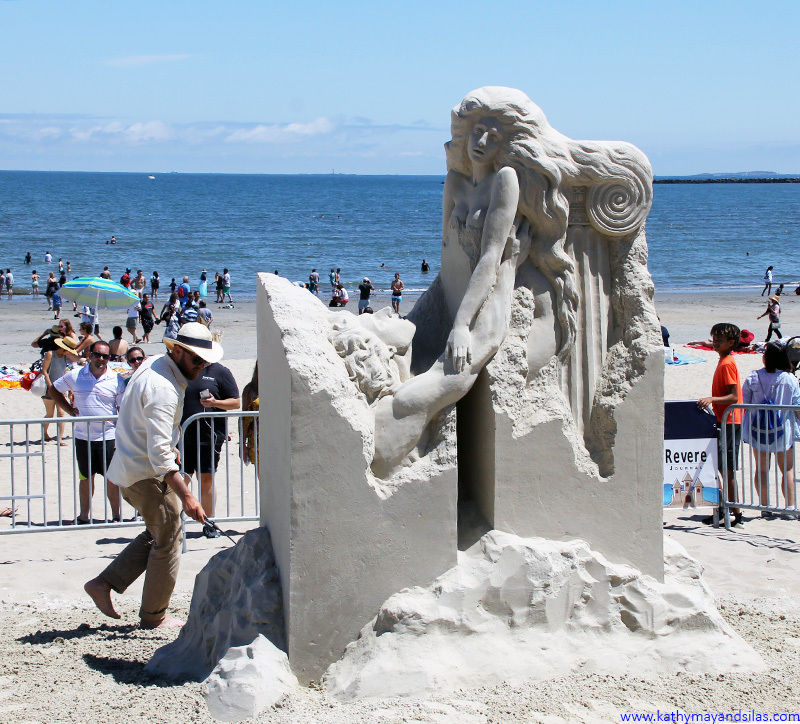 The 15th annual International Sand-Sculpting Festival took place virtually in our backyard at Revere Beach, a three-mile historic beach located just six miles north of downtown Boston. In its heyday at the turn of the previous century, Revere Beach was a popular amusement park analagous to New York City’s famous Coney Island. While there is no old-fashioned boardwalk here, we strolled down the reminiscent broad sidewalk, with ferris wheels, street performers, and food trucks on one side. On the other side were master sculptors busily forming, carving, smoothing, and spraying their intricate sandy creations. The fifteen master sculptors from nine countries (only three American) collaborated on the centerpiece sculpture which, according to the festival’s theme of “celebrating literacy,” depicted classic literary works throughout the generations. You can see it above in the cover image of this blog post. How many allusions to our favorite childhood books can you spot? Sand art at the festival was not just collaborative, however: It was a competition with a massive cash prize! Over three days, each artist had 24 hours to transform ten tons of sand into a magnificent sculpture within an 18’x18′ area. 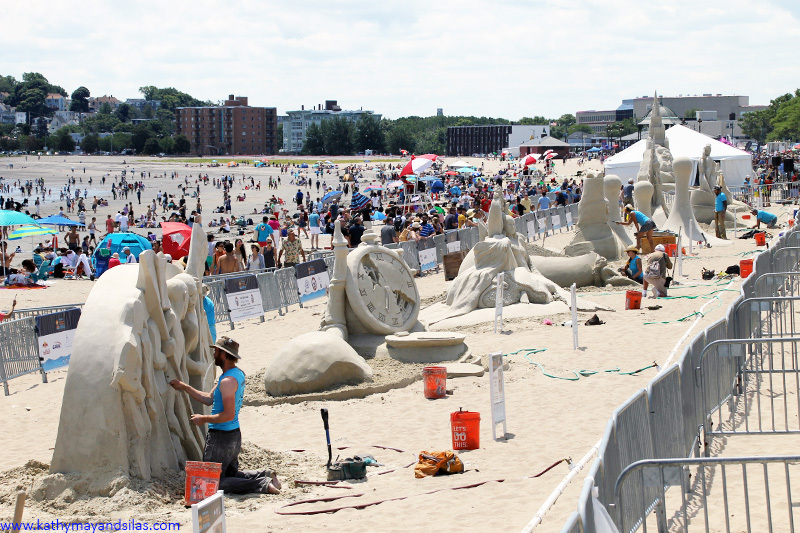 The sand used in the festival was not ordinary Bostonian beach sand. Over 350 tons of special granite sand were hauled in from Hudson, New Hampshire! Reportedly this particular sand is a favorite medium for these specialized artists, because the texture is ideal and the strength is strong for stand-alone sculptures. The pieces were judged on degree of difficulty, originality and creativity, quality of sculpting, and overall visual impact. The 1st Place Winner was “Vanishing Muse” by Pavel Mylnikov from Moscow, Russia. This was his fourth time competing at Revere Beach, and he also was last year’s winner! There were a number of marvelous sculptures otherwise, and the public was invited to vote for their favorite. “A Nouveau Love,” created by English artist Rachel Stubbs won the People’s Choice Winner. It was also the judges’ selection for 5th Place Winner! 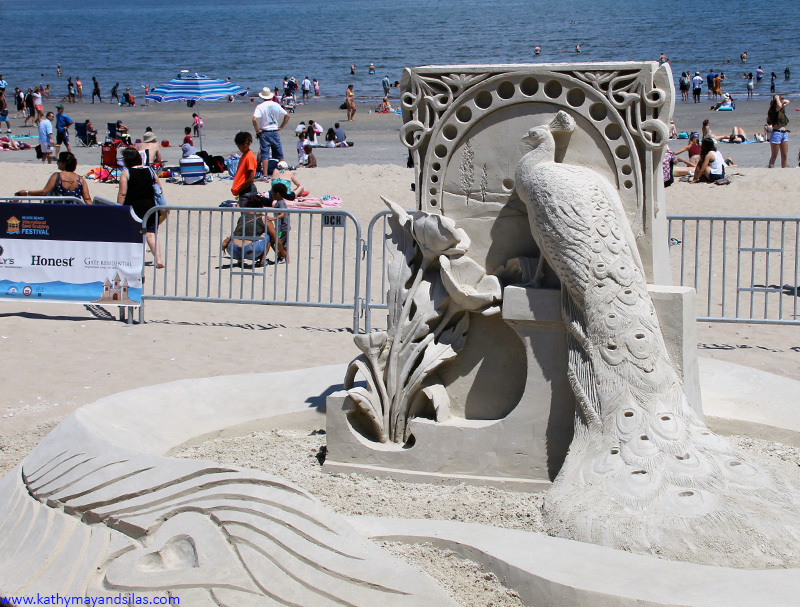 Click on the photo album below to see some more sand sculptures. 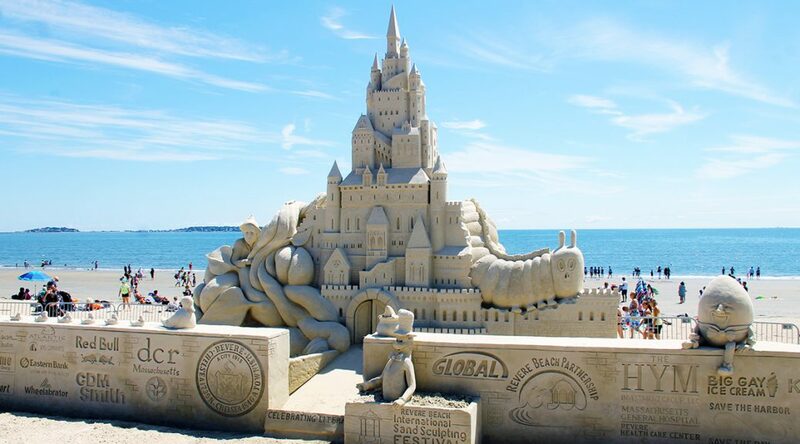 Next July, don’t miss the 2019 International Sand-Sculpting Festival! It’s fun, free, and sure to be a fantastic day! We’ll see you on the beach! Great …… please let us know beforehand and we will be there next year.